For thousands of years, indigenous peoples cultivated the land that is now known to be North America. With its versatile and fertile soil, the people native to the region were able to feed their families and communities. Today the abundant and nutritious foods native to the Americas are cultivated in most continents, fulfilling different cuisines and feeding the world. As we gather around the dining tables this holiday season, let us acknowledge that the land we inhabit in the Bay Area is the traditional land of the Ohlone people. Let’s take a moment to appreciate all of the bounty native to our region, and honor the knowledge and work of the indigenous peoples who domesticated these crops. Here are a few foods that are native to the Americas, many of them available at our farmers markets in the winter. As one of the “Three Sisters,” three main agricultural crops native to North America, squash varieties come in different shapes and sizes. 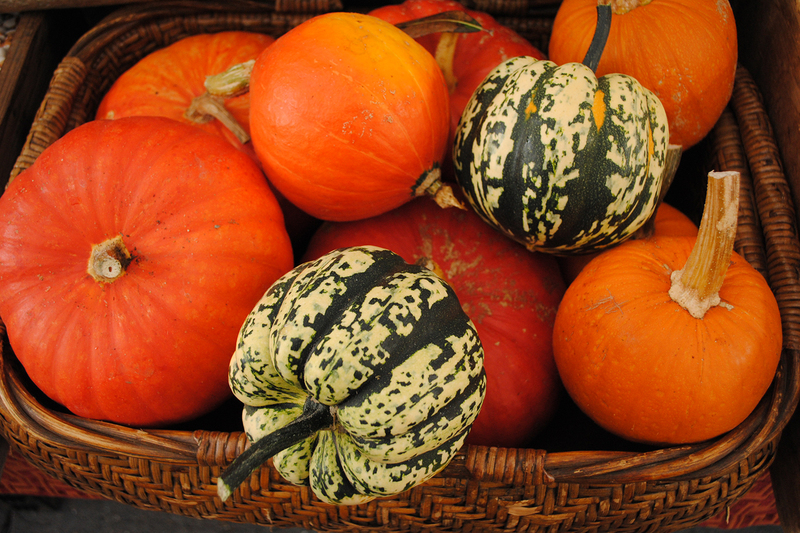 Native Americans would grow winter squash and pole beans alongside the tall corn stalks, so that the squash would benefit from the shade, in a technique known as companion planting. It is believed to be one of the first domesticated American crops. Corn (known traditionally as “maize”) was domesticated by Olmec and Mayan peoples in the region now known as Mexico some 10,000 years ago, and it is said to be one of the most ancient of the domesticated crops. 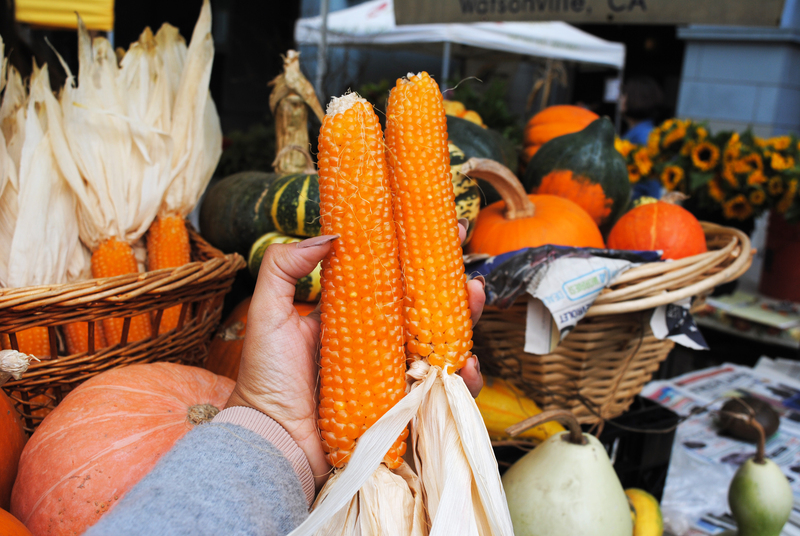 Corn was the name that English settlers gave the crop, and it became a vital source of food for them because it could be stored or eaten fresh. Corn is a summer crop, but early Mesoamerican cultures developed the process of nixtamalization to create masa, a flour used in tortillas, tamales, and other staple foods to be enjoyed year round. Centuries before they became trendy on toast, avocados were cultivated and highly regarded by people native to region of Mexico and Central America. The Mayans even used a glyph of an avocado to represent the 14th month on their calendar. In modern days, California is now the largest producer of avocados in the country. Indigenous peoples of Mexico, Central America, and South America spiced up their meals thousands of years ago, cultivating chili peppers for both medicinal and culinary use. Peppers, both hot and sweet, are dated back to over 10,000 years ago in the Americas. The name “chili” or “chile” comes from the Nahuatl (Aztec) language. The name “pepper” was given to the crop after Christopher Columbus thought it tasted like the Asian spice known at that time as peppercorn. Though potatoes are often mistaken as an Irish crop, “explorers” brought this starchy vegetable back to Europe from their expeditions. The origins of potatoes can be traced back to the Andes region of South America, where Incas cultivated the crop more than 1,800 years ago. More than a thousand cultivars of potatoes exist today, and over 99% of cultivated varieties originated from Chile. Also one of the staple “Three Sisters” alongside beans and corn, beans completed the trifecta that was vital for a nutritious diet. Native Americans planted beans alongside the corn stalks so the vines would grow on the stalks themselves. 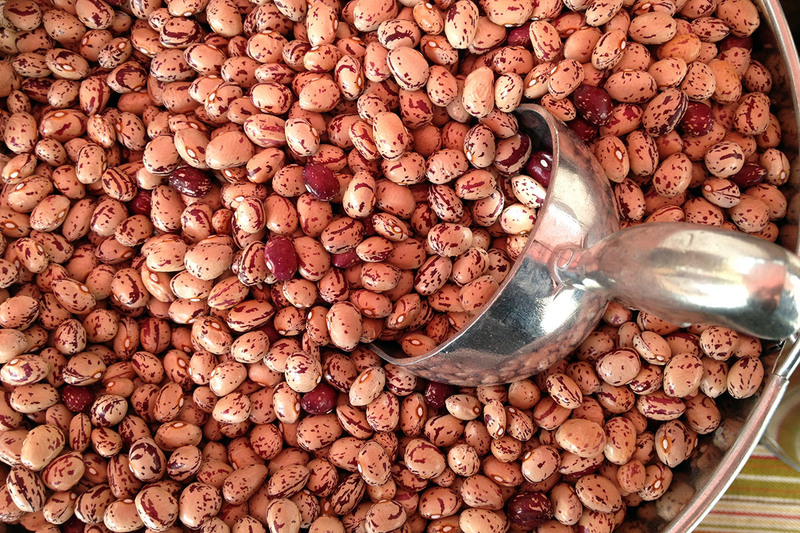 Common beans became a domesticated crop in pre-colonial times. Find recipes and learn more at decolonizeyourdiet.org.